A piece of chicken he couldn’t swallow. That’s why Steve sought medical help in September 2016. After a few tests, the diagnosis was handed: he had stage four oesophageal cancer. Steve was told his only option was palliative care, which would give him a few extra weeks to spend Christmas with his family. If he was lucky, he might make it to New Year. 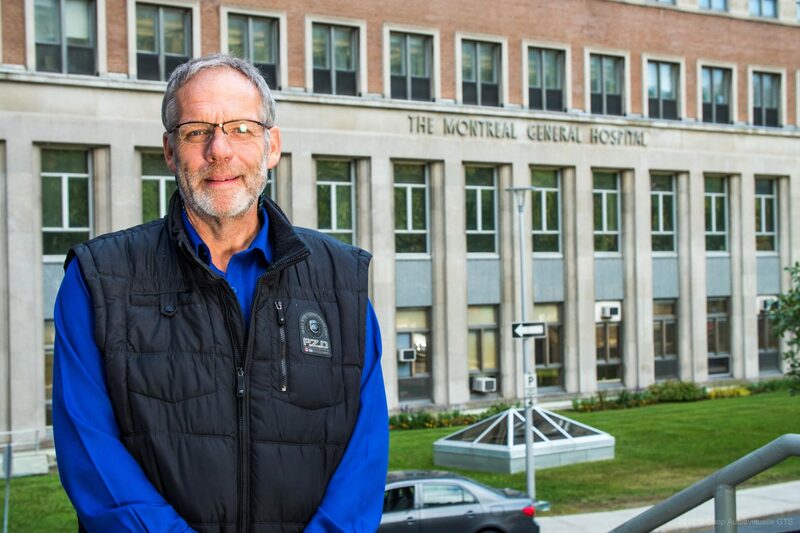 Because he wasn’t ready to leave his wife, kids and grandchildren, the Kingston, Ontario resident sought out a second opinion, in Montreal this time, from Dr. Lorenzo Ferri. After a series of tests, Steve and Dr. Ferri agreed on a precise combination of treatments and surgeries. With the cancer being so advanced, nothing was guaranteed, but it was still a second chance. January 11, 2017 is a date that Steve will remember for the rest of his life. It’s when he beat the statistics by waking up from an operation that had a 20% survival rate. It’s also when he took a new step in his journey towards healing. The Montreal General Hospital treats the most complex lung, oesophageal and stomach cancers in all of Eastern Canada. Its teams of specialists combine innovative surgical techniques, laboratory research and personalized treatment to offer patients precision medicine approaches. He also speaks emotionally about his family and the major role they played in his struggle and recovery. He finished the interview with words from Bruce Springsteen, dedicating them to his wife. Lyrics that he now proudly wears on his arm. If you wish to support the Montreal General Hospital Division of Thoracic Surgery you may make a donation online.